As the authors of Free Art Learning With Kids, our motto is: Children’s Creativity Should Definitely Not Get Restricted! 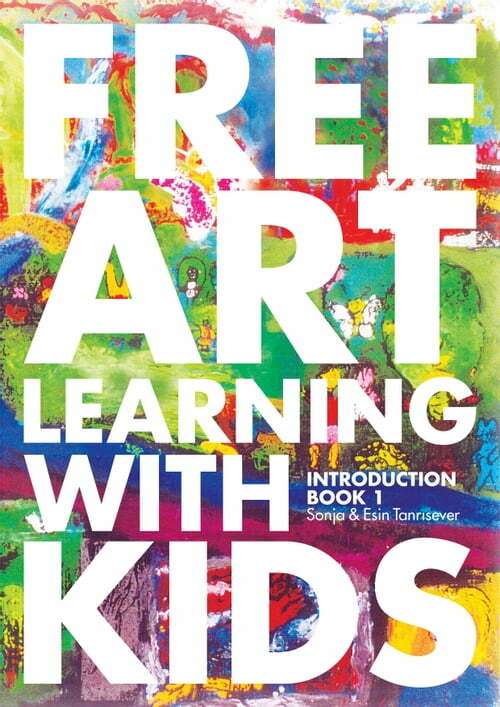 These are some of the many messages in Free Art Learning With Kids, which is a fresh and inspiring book on art pedagogy for preschool aged children, written by two Swedish - Turkish artists and art educators. Sonja has spent 57 years of her life together with children and art and Esin has similar experiences since about 20 years. Now they want to share their stand points and colorful experiences with the World. “Our mission with this book: When children through the magic power of art get chances to freely discover and explore their creative inner resources by means of self-expression, we believe in a broad sense, that art making has the potential of fostering growth of what is individual in each child (emotion, thought, and understanding). At the same time, the natural processes of psychic and physical maturing of the child will come to be integrated with the surrounding world so that there will be harmony and balance in their interrelation. Let’s consider the scientifically proven fact that as much as 90% of children’s personalities get completed at the age of 6! Very much can and, according to Sonja’s and Esin’s understanding, should be done in order to support processes of developing self confidence and individual growth in children while their brains are most receptive. This introduction book wil be followed by a series of instruction books that will, in the end, form a library containing guidelines on how to easily use numerous materials and how to apply various different techniques to achieve satisfactory levels of self expression. Though it would be wonderful if one could have chance to get support from professionals, during early years of childhood, Sonja and Esin believe that it is not necessary for us to be professional art teachers. Adults’ love and and care for children they are close to is essential! Readers will find this Free Art Learning “library basics” full of fun and designed in an easily comprehensible interactive kind of communication.